This pressing is infuriating. Mixing is great. But I have listened to three copies, and all of them have short bursts of non fill on side B in the left channel, in the same places. Tried with three very different cartridges and turntables, and the result is always the same. Didn't anyone listen to the test pressing with headphones before giving it an OK? Gorgeous pressing and a real audiophile experience. A brilliantly produced album and to my ears, this French pressing sounds even better than the standard EU black pressing. Worth grabbing whilst you still can if you love this album. WOW !! The prices are so high and not justified at the moment, there is plenty of this colored repress in FNACs for 24€, over 40€ is a big joke, though it's a beautiful collector ! The packaging of the compact discs is not good: the first time you pull out the discs out of their envelopes the surface will be marked with hairlines. So no item really can be kept in mint condition. Not even opened mine yet! I.bought the deluxe cd, Polish box and German box. Where the hell is the Blu Ray, already?? My collection is begging for it. 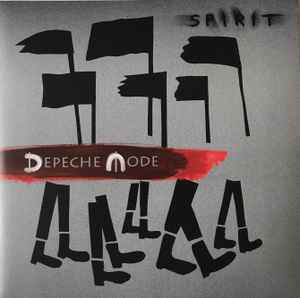 This is the only Depeche Mode album with no 5.1....well, yet. This better get mixed into 5.1, or I'll be super pissed! This seems really well done for an unofficial Russian bootleg release.